The ancients used it as currency and we know today that without salt, we would die. For centuries humans have built communities either around sources of salt or where they could trade for it. 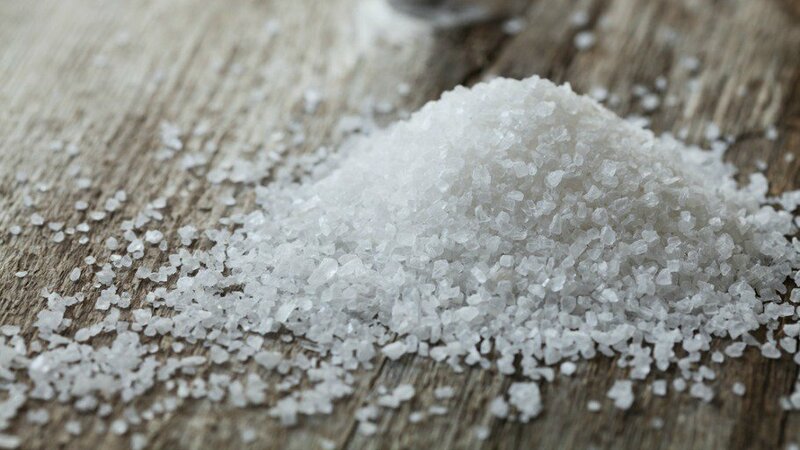 In fact, did you know the word ‘salary’ comes from the Latin word for salt? It’s true. Roman legions were sometimes paid in salt and the Greeks would often use salt to pay for slaves. Salt, or sodium chloride, is an essential mineral needed by the human body (and all animals) in order to function properly. It helps maintain the fluid levels in the body, yet an excess can be harmful. As a prepper, it’s important to store an ample supply of salt, not only for your own personal use but also perhaps for trade. Does salt expire? No. Salt is an all-natural product that is part of the earth and doesn’t expire. With proper storage, the proper shelf life of salt is endless. However that being said, salt with additives can spoil. Your typical “table salt” has added iodine. As a result, this limits the shelf life. For long-term storage purposes, you want to look for something like all natural sea salt with no additives. Don’t store salt in metal containers. Salt leaches metals or elements out of the metal and as a result, you could end up with a poisonous substance in your salt. Although salt is not perishable, you should store it like it is. An airtight container, preferably glass for storage. Here is what a friend of mine did. He bought a few 20-pound bags of salt online. He found a good deal and decided it was worth buying that much at a time based on the price. He then opened the 20-pound bags and broke it down into several freezer sized ziplock bags (1-gallon bags). Make sure not to overfill the bags because you don’t want them to break. Next, he stored the bags in a food grade, 5-gallon bucket. He said it fit about 3 bags per bucket. Next, he labeled the buckets so he knew what was inside and sealed the top shut. I did some searching online and found a 25-pound bag of non-iodized table salt from Morton for $5 a bag. I didn’t have such luck finding a good deal on sea salt. I’ll keep searching. Next: Next post: Prepper Deodorant Alternative – Limes!